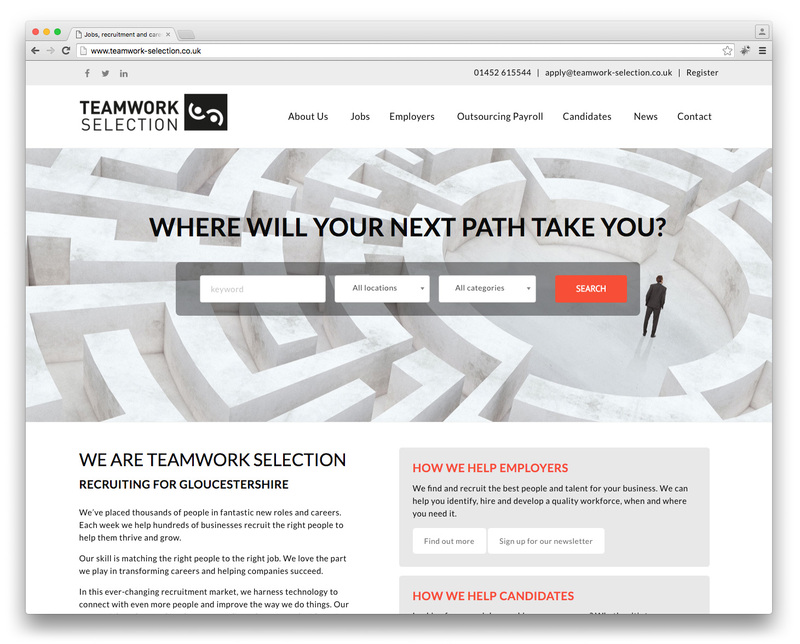 For Teamwork Selection I was tasked with creating a recruitment website with strong job search facilities. Thoughout the site you can search by job category, location and whether it’s a permanent or temporary position. Jobs are able to be shared by users, or they can apply and upload their CV via for the forms. Inside the admin, Teamwork are able to see all applications by job to make it easier to manage.